Good Neighbor Insurance is an A+ BBB Member (of the Phoenix Chapter of the Better Business Bureau) based on 16 factors. We strongly support the BBB to help both clients and potential clients know of our high ethical standards, adherence to customer service, professionalism, and expertise regarding insurance procedures and plans. Being a BBB member is also a good fit for us since the BBB “ensures that high standards for trust are set and maintained. They also exist so consumers and businesses alike have an unbiased source to guide them on matters of trust.” These are matters very close to our heart. 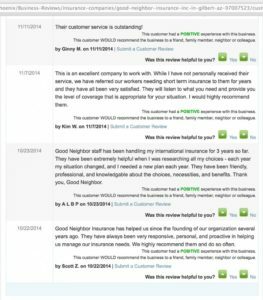 See our reviews with the Better Business Bureau here. It’s not uncommon for our staff to encourage other options when they are a better fit for your situation, or to encourage you to stay with a current insurance plan if it is a cheaper or better option than what we offer through one of our approximately 12 top-rated carriers. The BBB offers you the reassurance that Good Neighbor Insurance stands behind its word, and that you have found (and can recommend) a business you can trust. You can request a quote from us through our BBB Member page or simply go here to get comparable quotes. The BBB is an ethical marketplace where buyers and sellers can trust each other. Use the Better Business Bureau. They are there for you! 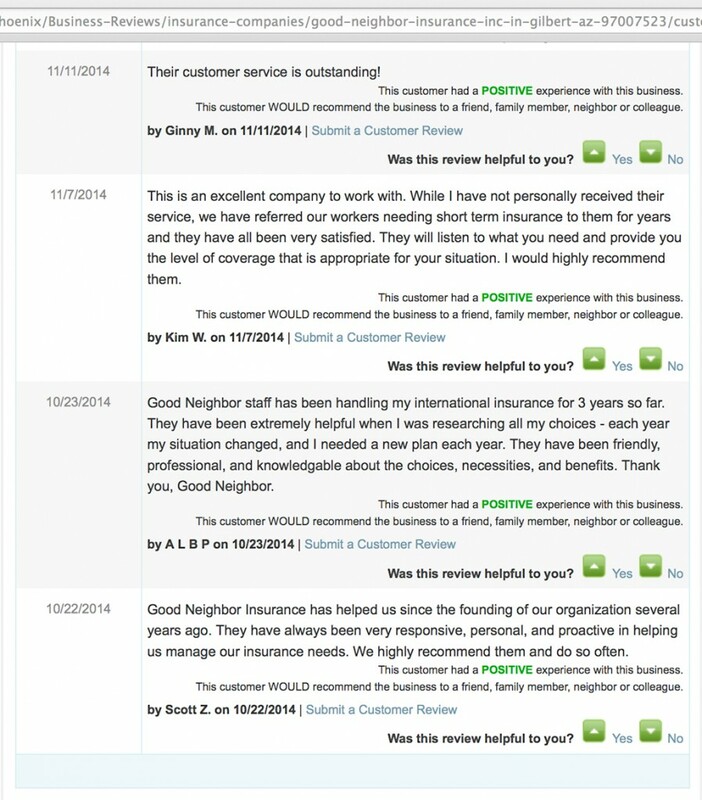 You can post a starred review of Good Neighbor Insurance on the BBB here. Openly identify the nature, location, and ownership of the business, and clearly disclose all policies, guarantees and procedures that bear on a customer’s decision to buy. Protect any data collected against mishandling and fraud, collect personal information only as needed, and respect the preferences of consumers regarding the use of their information. What companies/industries are complained about the most? How to nominate GNI for this year’s BBB Ethics Award?